Burning through 6 of the 8 tossups and delivering an 11/14 (or 78.6%) accuracy rating. That's not too shabby considering that data is purely based on the racial make up of likely voters. We will return to the 2016 United States Presidential Elections later this year, after the Australian Federal Election, the Brexit Vote and the territorial elections for both the NT and ACT. Other electoral news around the world this week includes Sadiq Kahn taking office as Mayor of London on Sunday and the Philippines electing Rodrigo Duterte as president on Monday. In neither election did the former incumbent run; former London Mayor Boris Johnson did not run due to his election to the House of Commons, while former President of the Philippines Benigno Aquino III did not run due to exhausting his term limits. Sadiq Kahn is noteworthy for being the first London Mayor to be a Muslim. Rodrigo Duterte is noteworthy for being a lawyer who as Mayor of Davao City encouraged (has been suggested to have been directly involved in) vigilante death-squads who execute criminals (or assumed criminals) without trial or due practice. So, kind of an outsourcing Daredevil but without the blindness. So, before we do any real electoral prediction or information this year, it's worth looking at the new voting rules for the Upper House. As you may (or may not – the AEC has not been publicising this nearly as much as I would have thought) know, the above- and below the line voting methods have changed. According to the latest amendments to the Commonwealth Electoral Act 1918, you must vote above the line by “writing at least the numbers 1 to 6 in the squares... printed on the ballot paper above the line” (s 239(2)(a)) or below the line by “writing at least the numbers 1 to 12 in the squares printed on the ballot paper below the line” (s 239(1)(a)). So by law you must number AT LEAST 6 boxes above the line, or AT LEAST 12 boxes below the line. Below the line voting will work as per usual, but your vote exhausts once you stop numbering. This makes voting below the line for less tedious and, if you make an error by skipping or repeating a number (for example) your vote will still be valid until the error, at which point it is exhausted. Therefore, your vote will go to your #1 candidate until she is (a) elected by reaching the quota or (b) excluded for having too few votes. At this point your vote goes in full (in the latter case) or in part (by your share for the excess of votes beyond the quota) to your second choice, and so on until you run out of numbers. As such, you are no longer allowed to vote above the line by marking a single box. 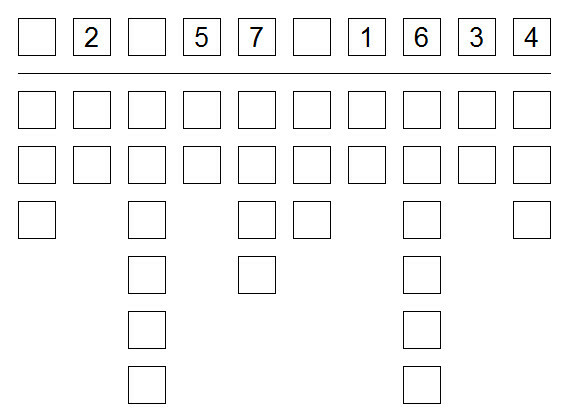 You must mark at least six (except you don't – see the next section). If you were part of the 5% who voted below the line, though, your old method of voting by marking every box is valid, but not entirely necessary. Since the burden of marking 6 boxes above the line is not drastically greater than 12 below the line, you might question why we keep both methods. Below the line gives you the option to skip certain candidates – for example in the last election in South Australia, there was outrage that Don Farrell would appear higher on the Labor list than Penny Wong, or that Cory Bernardi appeared on the Liberal ticket at all. In both cases, voters could have placed the unpopular candidates lower in their preferences than their second-placers. Above the line voting allows you to quickly prioritise the parties a little quicker if you don't care about individual candidates, but is otherwise now largely redundant. below the line voting also allows some manipulation of the overflow mechanics, if you accept the assumption that the majority of voters number from top to bottom. This may not be the case under the new system, where the easier below the line vote and harder above the line vote may see the usual 5:95 split change. If we accept, however, that most votes go north to south, you may wish to number candidates in a party from south to north. This is because if you favour a candidate that is elected as a result, a portion of your vote overflows. If you vote for a loser, your whole vote overflows. Consider a party fielding 2 candidates as your preferred party, and you don't know enough about the individuals to choose. Lets assume the quota for getting elected in 1000 votes. 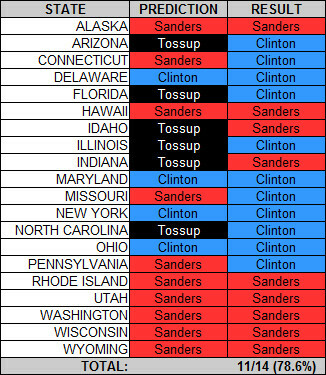 If you number them top to bottom, and the top candidate gets elected by 1001 votes, 1/1001th of your vote flows to candidate two. 1/1001th of every other vote also overflows. Most will go to candidate two, but maybe some will not. This gives candidate two less than one whole vote from the overflow. 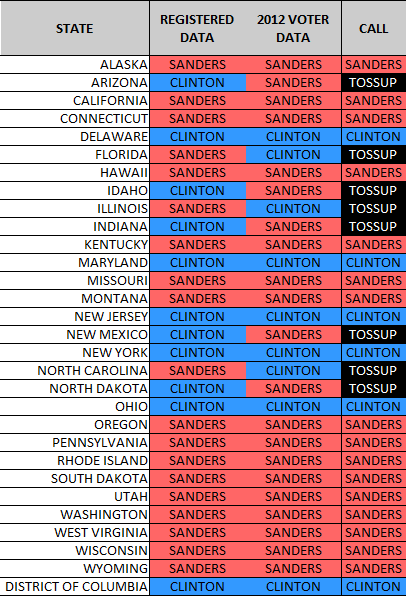 Worse, if candidate 1 is not elected, candidate two will have dropped out even earlier. If, however, you number the party from bottom to top, and candidate 1 still gets elected, you ensure a full vote goes to the second candidate. If the first candidate is not elected, sooner or later the second will be eliminated and your vote will go to candidate 1 anyhow. Thus you have but that candidate at nor real disadvantage. This also applies for the parties you dislike, when numbering all the way down the ticket. If you let your vote exhaust, you're saying you've reached the extent to which you care and the rest of the parties are of equal value to you. If, however, you dislike one party more than the others, you want to prevent your vote from exhausting, otherwise you have no say in whether that disliked party beats the others. Here, again, numbering from the bottom gives your less-hated parties an advantage over the more-hated ones. This all assumes the trend of numbering from top to bottom remains. While the ease of below the line voting may undermine this lightly, most below the line voters will probably still vote top-to-bottom anyhow without thinking it through, and any above the line voters certainly will. But even if the candidates are numbered randomly by other voters, you're not actually disadvantaged. Only if the technique of voting south to north becomes popular will this strategy lose its power. That's your vote and your gamble. It is true that under s 239 of the Commonwealth Electoral Act 1918 you must at least mark 6 boxes above the line or 12 boxes below the line. And that's what all the information you get from the AEC will tell you and, for the latter rule, what paragraph 268(1)(b) will insist. 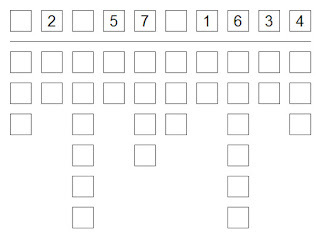 In other words, although you are required by law to number six boxes when voting, your vote will still be valid so long as you mark at least one. You would be in breach of s 239 and thus breaking the law by voting in this way, so I'm not advocating this method, but your vote would technically still count. 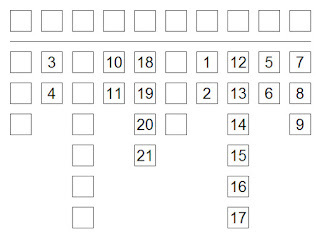 So by law you must mark at least 6 boxes above the line or 12 bellow, but to cast a formal vote, you only need one box above the line or six below. To put it another way, you are legally required to cast a hyper-valid vote. Why is this? A combination of two reasons. One mathematical, one pragmatic and forgiving. Mathematically, they want everyone to mark at least 12 candidates (a party above the line will have at least 2 candidates) so that even in a double disillusion election (like this one) and even if everyone votes identically, 12 senators can be picked. If everyone cast only one vote, and they all voted identically, there's be one candidate elected and no way to fill the remaining 11 seats (or 5 in a normal election). That's why the law requires you to fill that many boxes. The reason a vote with fewer will still count is the pragmatic one. People make mistakes, especially when we change the system on them. Occasionally someone'll skip a number or write one twice. But now that we're exhausting votes, we can more easily give effect to their wishes as far as they are clear. 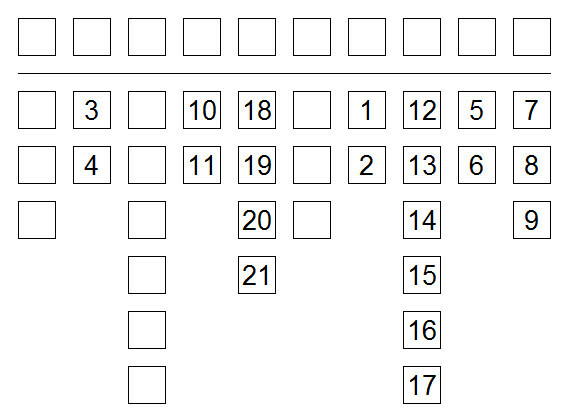 For example, if someone intends to number six boxes above the line, but actually numbers two boxes as “3”, the vote will still be valid for the first two boxes. There have always been these redundancies. If you use a tick or a cross on a senate paper, it's read as a “1” (ss 268A(2)(a), 269(1A)(a)) and if you leave a square blank on the House of Representative form, but otherwise number the squares consecutively, that unmarked square will be read as the last number in the sequence (s 268(1)(c)). As soon as the upper house ballots are finalised we'll be doing an run-down of the parties on your state or territory ticket and what they stand for. Other than that, and the standard prediction methods of comparing swings to margins, most of the upcoming material is a surprise (even to me) and will depend on my available spare time. Oh, and colourable maps. I'll try and get those done too, for those playing along at home on July 2. The law requiring the 6 or 12, but still counting if 1 or 6, also acts to prevent campaigns demanding a vote for them at the exclusion of all others. Even if you only need one number for the vote to count, parties cant ask that you only vote once. There is actually nothing in the new laws that prevents parties from advocating a just-vote-1 above-the-line option. The government repeatedly avoided questions about whether it would be illegal, and an amendment was moved to make it an offence but that amendment was defeated. The thinking is that serious parties will not do it anyway because in so doing they will lose the ability to swap how-to-vote-card preferences with other parties. If micro-parties draw attention to the option they run the risk that voters for other micro-parties will use it to (destroying any chance of a preference flow they might have had). But maybe someone will still do it. I really don't think that the devotion you've given to tactical South-North voting here is entirely healthy, and I don't see how it really applies to the ranking of parties against one another as you've claimed, but apart from that this is a nice little summary. I am hype for maps.